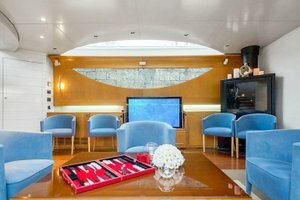 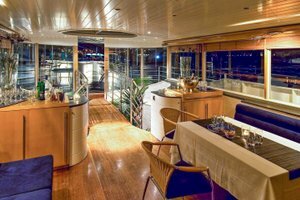 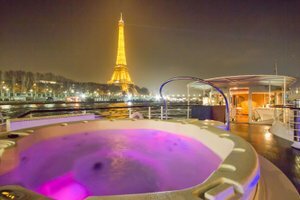 This prestige yacht of a luxurious and contemporary design, welcomes in the heart of Paris, in a private, rare and magic, private and business for an exceptional moment. 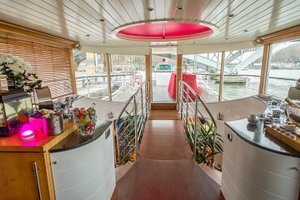 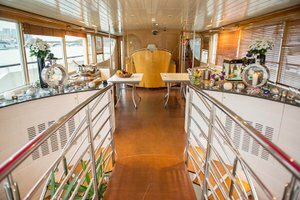 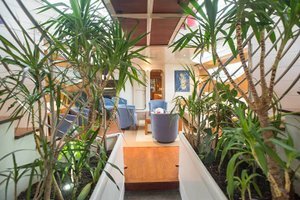 On this quay barge or sailor, enjoy a friendly atmosphere for your meetings or corporate parties. 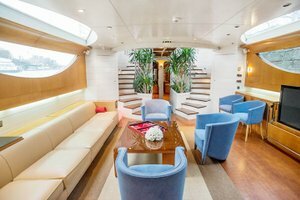 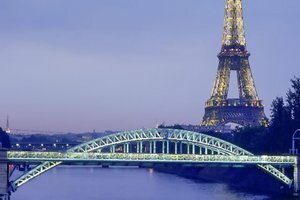 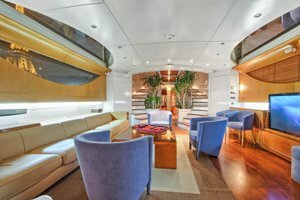 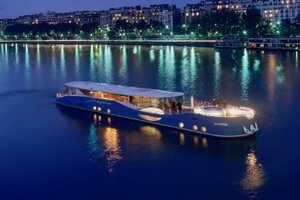 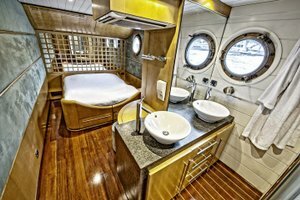 You can also use this fabulous place for several types of tailor-made services: a unique cruise in the heart of Paris, a baptism, a birthday, an evening on the water, an exceptional reception room, a luxury hotel on the beach. 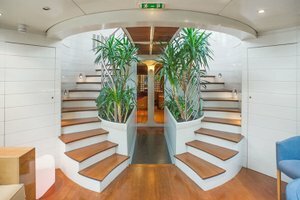 Seine, a private lounge for business meetings but also an idyllic setting for a romantic evening. 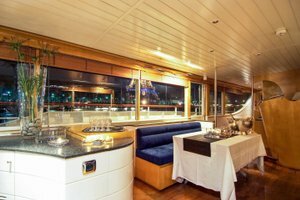 Welcomed by our master of the ship, this one will know to you to inform and answer all your needs the time of your event. 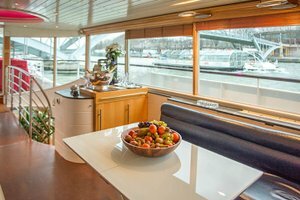 The privatization of the Yacht is possible 24/7 and it is rented with a catering service.